Through the 1st & 3rd Tuesday Night Café, Tuesday Night Project's collective of artists, educators, community organizers, entrepreneurs, and students continue to create space and time with all walks of life - building bridges between themselves, the project, and people all over, with the firm belief that PEOPLE are each other's greatest wealth of resource. On the face of it, Tuesday Night Project (TNP) hosts a free open mic event called the 1st & 3rd Tuesday Night Cafe in Little Tokyo, Spring through Fall – but since 1999 the people behind the project and the series have grown into an actual community fiercely devoted to creating venues where art and community connect. It is a community of artists, organizers, activists, professionals, independent business owners, educators and community members of different generations, a myriad of artistic disciplines and all walks of life. Tuesday Night Project maintains a passionate, positive space with a focus on new work from Asian American/Pacific Islander communities and from the Greater Los Angeles area. 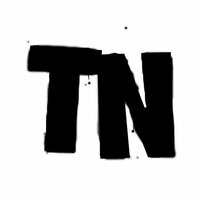 TNP constantly introduces its audiences to new artists and organizations and the amazing work they do all over the city. While TNP offers modest stipends to some of its technical crew, they have kept the series alive and free to the public with sheer passion and the practice and belief that PEOPLE are each other’s greatest resource. As an all-volunteer effort, TNP offers a space that goes well beyond a “showcase” and brings support that strengthens community and art. Expanding with every passing year, Tuesday Night Cafe now streams their events live and has had viewers from all over the world including Chicago, Seattle, and San Francisco…from Canada and the Philippines to Pakistan and Scotland. With TN-On-Tour, Tuesday Night Project is beginning to make its way to colleges. TN-TV has featured artists in live-feeds to Downtown L.A. from places as far as New York, Toronto, and Qingdao, China. The series is now entering its 13th year as one of the longest-running free public arts series in Downtown Los Angeles and is excited to continue to grow and provide a space for the intersection of Art + Community. FREE admission. For more information, please visit the Tuesday Night Project website at http://www.tuesdaynightproject.org/. llan . Last modified Jun 22 2012 9:42 a.m.